Welcome to the 2014 Cross Country Season! 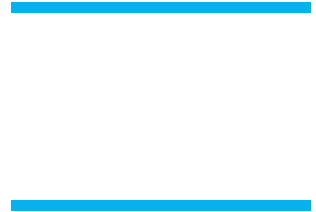 As the 2014 cross country season is about to kick off the coaching staff at Buena would like to welcome all of you to our races this season with voices ready to hurt as you scream for our runners. Our cross country has worked extremely hard this summer and are eager and ready to begin racing. They have put in many miles and would love the support that you have to offer. All of our coaches would love to have the most cheer-leaders out there screaming at the top of their lungs letting everyone know that we love and support our Bulldogs! So clear those calendars and get out to as many of our meets! We have have our first competition this Saturday at Cal State San Marcos in San Diego. The entire team is going to this event- most will be racing, we have a few that are not quite ready to race, but expect them to be at this meet ready to join team. The meet is unique for 2 reason- first it’s a 4 – person relay and second each leg of the relay is 1.5 miles. The athletes have expressed interest in bringing water /gatorade / snacks for everyone on the bus. If you are able to donate any of those items or would like to donate $1-$5 the coaches will go buy the stuff it would be greatly appreciated. I know that little things like this make the kids feel special.